The Power Bank Go 4000 is crafted from high-grade polyether with a matte, rubberized top and bottom. It houses an internal 6000mAh li-ion battery, which provides enough power to charge the average smartphone up to 3 times. With a simple touch of the button, four blue LED indicators will tell you the battery status, so you can see how much power is stored in the wink of an eye. An integrated charging cable assures that you are able to charge the power bank anywhere; via Mains, PC USB or a Xtorm solar panel. Should you need a longer cable, not to worry, we have provided a micro USB port so you can charge the power bank over a separate cable. For this device, we made recharging times as short as possible. Therefore you can recharge this power bank in only 3 hours. With 2 USB ports available, you’re able to charge two devices simultaneously. A total of 2.5A output power is at your disposal, recharging the average1 smartphone within one hour! The power automatically adapts to the devices connected. The small format, double USB and high power make this Power bank Go 4000 ideal for business trips, holidays or daily use. 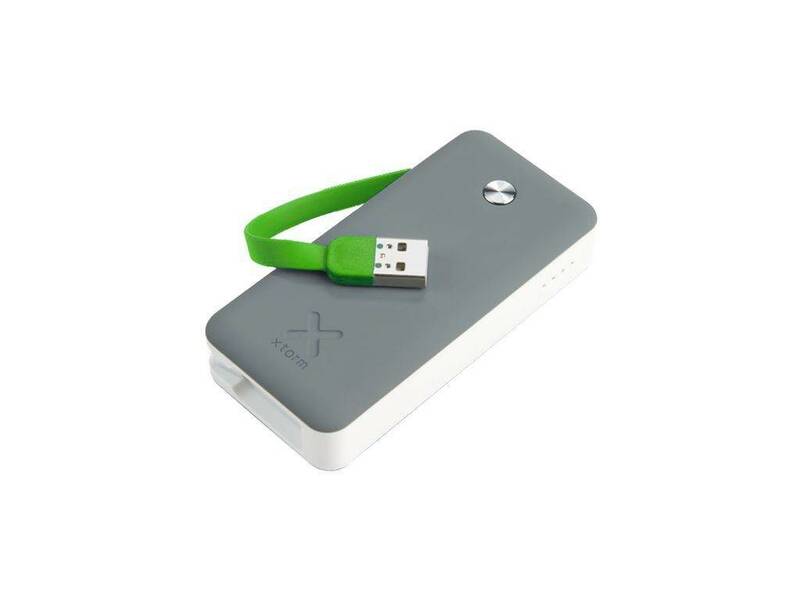 With this manageable mobile charger you are always equipped with a back-up battery whenever and wherever you need it.